We’ve reviewed and raved about Kracie Hadabisei All-In-One masks before, so we looked forward to trying their newly-released 3D masks! These new designs promise improved fit and boosted “suppleness” effects, so I took them along to my recent Japan trip to see if they could save my skin from the cold weather. The 3D design is created by panels that have been stuck together, as opposed to having one sheet try to cover everything. It’s obviously not going to be a perfect fit, but I liked how the masks cover until below the chin and sideburns area. I had no bad reactions to the masks! Hurrah! 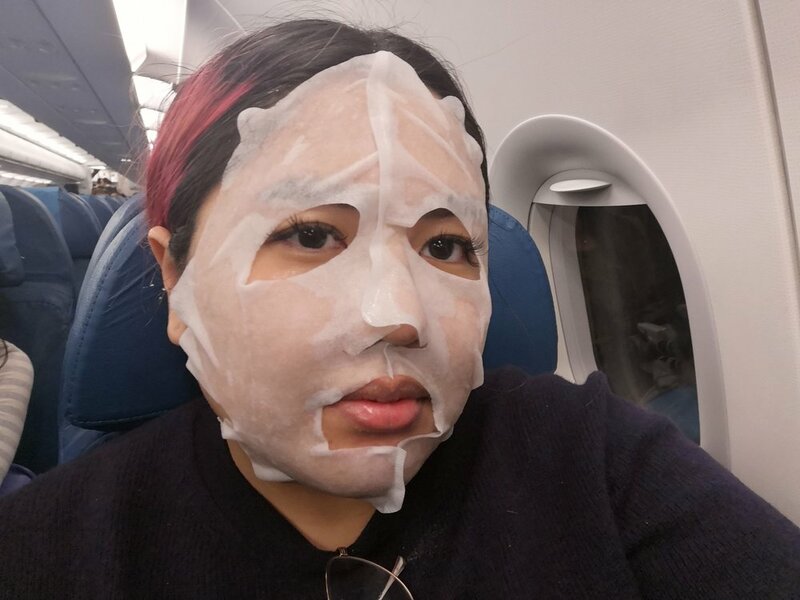 I’ll admit that I was a little worried about reviewing these since many sheet masks give me the itchies, but the prospect of masking while traveling appealed to me. I could feel my face getting dryer and dryer as our plane approached landing so I thought that this was the perfect time to use a li’l collagen (lol). As we made our descent (which coincidentally took 12 minutes), I put the mask on after cleaning my hands and face. Patting the serum in resulted in a perfectly moisturized canvas, and I wiped the rest on my neck, arms, and legs to maximize the 30ml serum. I didn’t get translucent skin as advertised, but it worked well to soothe the dryness. However, we landed a little before 1am and by 7am my face felt dry again, as if I hadn’t masked the previous night. It was cold in Japan though and I’m sure it would work better for our climate now, but it’s still something to note if you’re traveling. As the temperature dropped to 8 degrees in Tokyo, I knew I needed an extra kick of moisture. 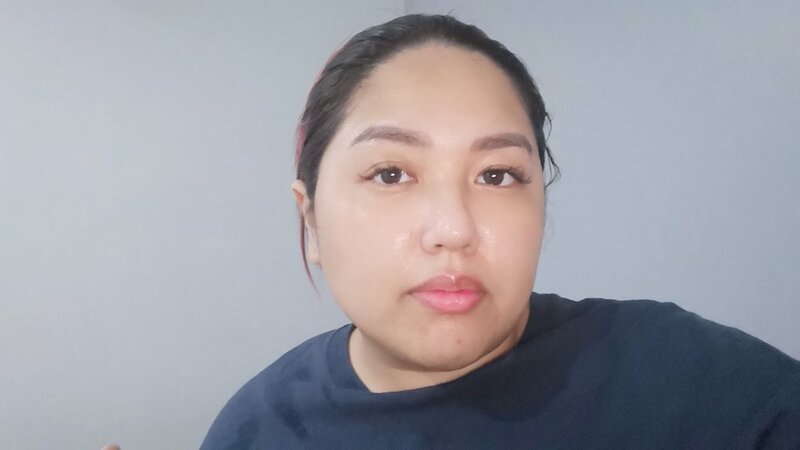 I switched out my hyaluronic serum for Bobbi Brown with Kracie’s Super Suppleness mask since its star ingredient is hyaluronic acid as well, and it would work in tandem with my other night moisturizers that I’ve tested with hyaluronic acid. Same as with the first mask, it was okay during the night but felt like it was gone the next day. However, I was noticeably more moisturized than my traveling companions! This is the mask I used to revive my face after traveling. My skin was a dull, crusty mess after the trip so I was never more relieved to put a face mask drenched in serum on! The “highly concentrated” vitamin C didn’t make my face tingle or heat up like other serums do, and though my eyebrow kinda itched, I didn’t experience any bumps and other negative reactions from masking. Overall, the Kracie 3D masks work great to provide immediate moisturization and I will definitely recommend their use for temperatures greater than 10 degrees (aka, here in our country). For P150 per piece or P545 for the boxed set of 4, that’s not bad at all for a generous 30ml of serum and peace of mind. Kracie Hadabisei 3D Masks are available at Beauty Bar stores and on BeautyBox. Commenter of the Month for December, and our January gift!